Gary Barber, Wachtel Stable and Terp Racing’s Still Having Fun, a winner of back-to-back stakes to open his sophomore campaign, will attempt to extend his streak to three straight making his two-turn debut in Saturday’s $100,000 Private Terms at Laurel Park. The 29th running of the Private Terms for 3-year-olds, run at about 1 1/16 miles, highlights five stakes worth $450,000 in purses on the 11-race St. Patrick’s Day program. First race post time is 1:10 p.m. Still Having Fun exits a hard-fought neck victory as the favorite in the one-mile Miracle Wood Feb. 17, the second of four stakes for 3-year-olds during Laurel’s winter-spring meet. Still Having Fun romped by 4 ½ lengths in the seven-furlong Frank Whiteley Jr. Jan. 27. “He came out of the Miracle Wood well,” trainer and co-breeder Tim Keefe said. “We thought we’d try him around two turns and the idea was to keep him at home to kind of reduce the different variables and just keep him in a familiar environment for now before we really step him up to a little bit tougher competition. A bay son of Old Fashioned, Still Having Fun is a neck shy of being undefeated, caught late in the Maryland Juvenile Futurity to cap his 2-year-old season by multiple stakes winner Whirlin Curlin, who returns in the Private Terms after sitting out the Miracle Wood. Barber and Adam Wachtel bought a majority interest in the colt following his debut win last November. Still Having Fun will carry co-topweight of 122 pounds including regular rider Feargal Lynch from Post 4 of nine, matching the largest field they will have faced to date. His Miracle Wood effort was flattered when long shot runner-up Old Time Revival came back to be a stubborn second in the Gotham (G2) March 10 at Aqueduct. Cash is King, D.J. 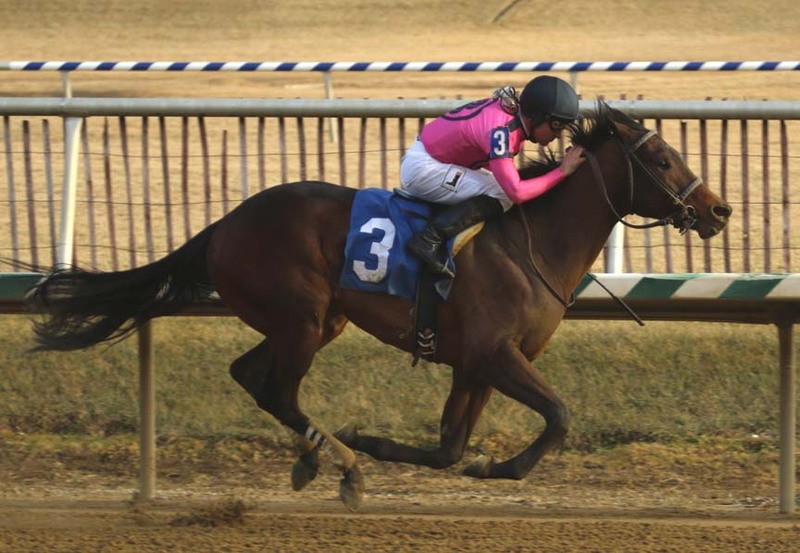 Stable and L C Racing’s Diamond King, winner of the Heft Stakes Dec. 30 at Laurel, is one of two John Servis-trained contenders in the Private Terms along with Shirley Lojeski’s homebred Forest Fire. A gelded son of Friesan Fire, Forest Fire broke his maiden Jan. 15 at Parx and was a neck winner of a one-mile allowance Feb. 16 at Laurel last out. Diamond King opened his 3-year-old season running third by less than four lengths in the seven-furlong Swale (G3) Feb. 3 at Gulfstream Park. It was the first race for the Quality Road colt since being moved to Servis after winning three of his first four starts; the exception coming when he clipped heels on the first turn of the Kentucky Jockey Club (G2) last fall and lost rider Frankie Pennington. Quality Road won three Grade 1 races around two turns along with the Met Mile, and Servis is confident that Diamond King will benefit as the races get longer. Pennington returns to ride from Post 7. Diamond King and jockey Irad Ortiz Jr. went five furlongs in 1:01.06 at Palm Meadows, Gulfstream’s satellite training facility, March 4 in his lone work for the Private Terms. The time ranked second-fastest of seven horses but Servis was more pleased with the way Diamond King relaxed breezing in company. 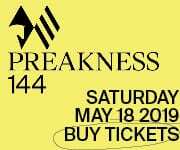 Servis said a strong showing in the Private Terms could put Diamond King on the Triple Crown trail starting with the second jewel, the Preakness Stakes (G1), May 19 at historic Pimlico Race Course. Keith Crupper and Team Gaudet’s Dynamic Asset, who suffered his first loss in three starts in a snowy renewal of the Miracle Wood, looks to bounce back in the Private Terms. It was the Astrology colt’s first start in five months, first in a stakes and first beyond six furlongs. “There were a lot of factors against him that day so we’re just going to hope that we can throw it out. He’s been training fantastic since then,” trainer Lacey Gaudet said. “He came out of the race fine and had a nice work last week. We couldn’t really find an excuse for why. Completing the field are Bal Harbour, whose two stakes wins have each come at one mile for trainer Todd Pletcher; California Night; Roaming Union, fourth to Bal Harbour in the 2017 Sapling; multiple stakes-placed V. I. P. Code; and Whirlin Curlin, winless in two starts since sweeping the Christopher Elser Memorial and Maryland Juvenile Futurity at odds of 23-1 and 21-1, respectively.